– FAST is FAST and FAST is last! – DPL: a dying art? – Less morbidity from negative trauma laparotomy? 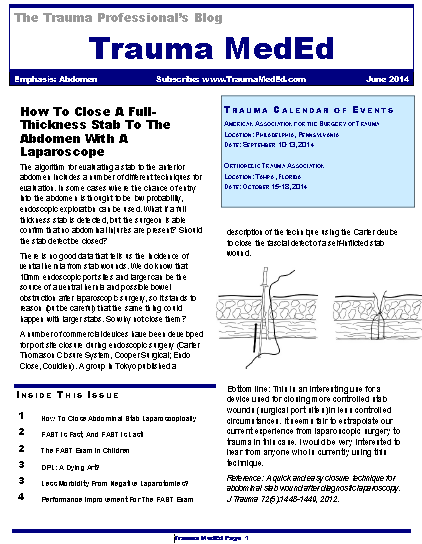 The web link to this month’s issue is http://bit.ly/TME-06-2014.